Now the nights are starting to draw in a little I should be able to get out with my telescope with out it being to late. Surprisingly I've got an early start this month, the night of the 2nd was clear and the sky was clear and I had some deep-sky objects in my sights. 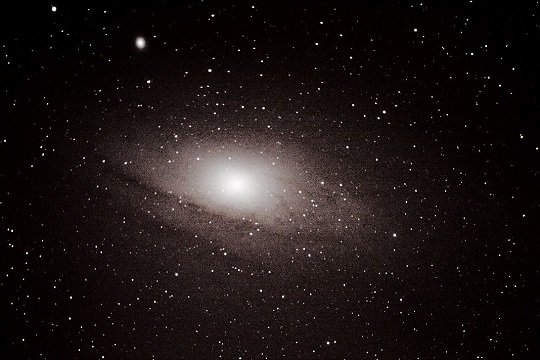 The first object I wanted to try and image is our close neighbour the Andromeda Galaxy Messier 31. I have lots of trees around my drive but luckily enough on this occasion when I slewed my scope round it was pointing between the trees. I connected my EOS 450D with remote lockable shutter release to the focuser and took a 3 minute exposure to make sure it was in the field of view, and it was slap bang in the middle. In PHD I found a bright enough star and started auto guiding. As the galaxy is faint i had to use the exposures to focus the scope. The Andromeda Galaxy is 2.5 million light-years from Earth and it's our nearest spiral galaxy. It is estimated to have twice the number of stars than our Milky Way approx. 1 Trillion. 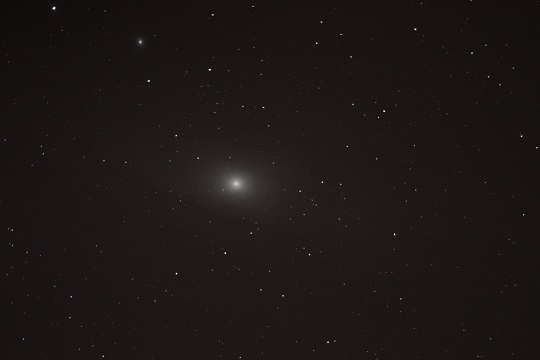 The bright object in the top left hand corner is M32 a dwarf elliptical galaxy about 2.65 million light-years from Earth which gives some scale to the size of Andromeda. It is estimated that the Andromeda galaxy is the largest galaxy in our local cluster of approx. 47 galaxies with the Milky way being only just smaller then Andromeda at approx ~80% the mass. 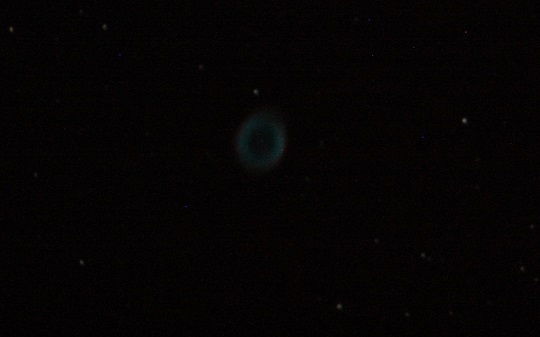 I then decided to turn my atentions to something a little harder to see/image 'The Ring Nebula'. 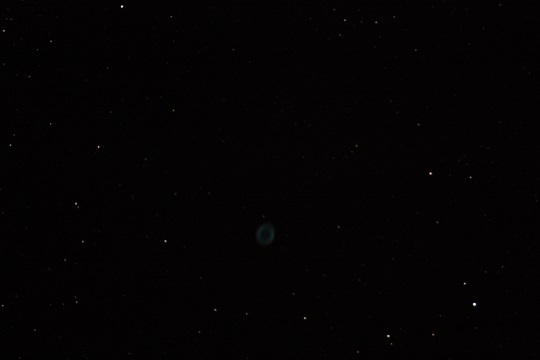 After slewing to the object i popped a 10mm eye piece in and focused it, the object was very faint but i could make out the ring if i looked away from the object its self and looked with my 'Peripheral vision' i popped on the EOS and took a couple of frames to get focus. Once achieved i took a few frames to stack. I then popped in a 2" x2 barlow and took some more images for stacking - this image is a little zoomed. The next object on my list was M13 The Hercules Globular Cluster but for some reason i couldn't find it after a few snaps it ended up with the image below - not M13 but a few nice stars. On the night of the 3rd there was the rare occurrence of the Moon, Saturn and Mars being close together so i decided to pop out the EOS to capture a few images. 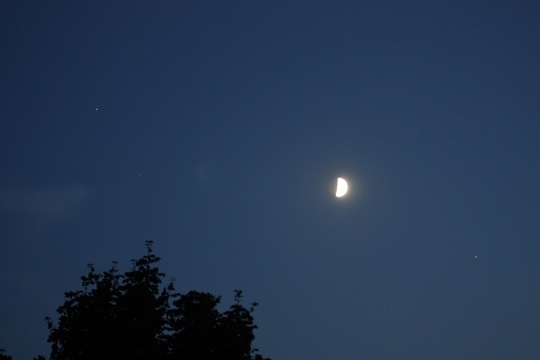 In the image below; top left is Saturn, bottom right Mars and the Moon which also has visable earthshine on the dark section. On the night of the 12th was the peak of the shower so i thought we'd pop out with my EOS and tripod and see if i could capture a few meteors. "The Perseids are a prolific meteor shower associated with the comet Swift–Tuttle. The Perseids are so called because the point from which they appear to come, called the radiant, lies in the constellation Perseus. 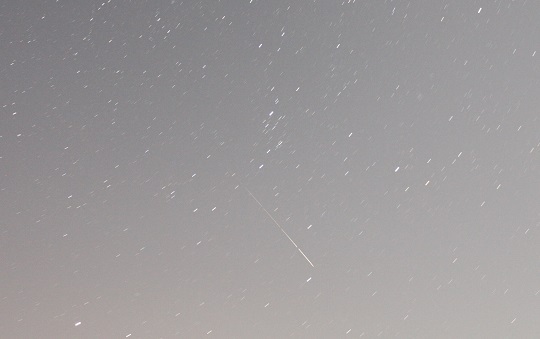 The stream of debris is called the Perseid cloud and stretches along the orbit of the comet Swift–Tuttle. The cloud consists of particles ejected by the comet as it travels on its 133-year orbit. Most of the particles have been part of the cloud for around a thousand years. The earliest information on this meteor shower is found in Chinese annuals in A.D. 36. However, credit for recognising the shower's annual appearance is given to Adolphe Quetelet, who reported in 1835 that there was a shower emanating from the constellation Perseus. 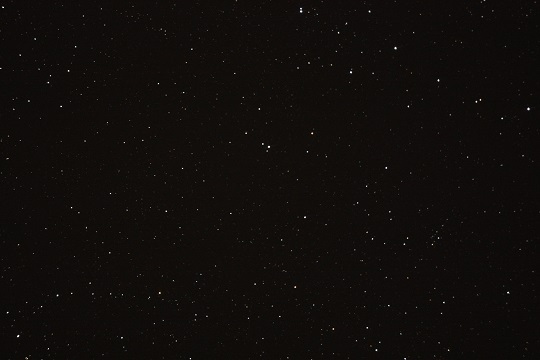 I had the camera exposure set to 20 secs, ISO set to 1600, aperture to f/4 and the focus to infinity (18mm with my lens). I locked the remote shutter release on while we stared at the sky to capture a glimpse, but within a minute I was snoozing (zzzzzzzz). After a short while my wife woke me up and we stared at the skies for a while and every now and then we saw what we thought may have been meteors but I think it was our eyes playing tricks on us. I stopped the shutter and packed away and headed home. The next day I looked at each frame which confirmed my suspicions that our eyes were playing tricks on us, but on the last couple of frames (now stacked below) we had captured a meteor. 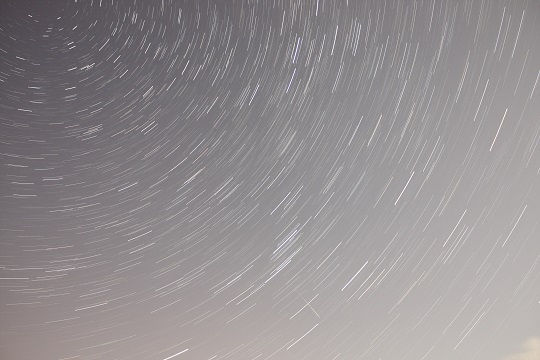 I also processed all the images in startrails which produced image below. its a bit lighter - because of the full moon - than I would like for my first startrails it's not too bad. 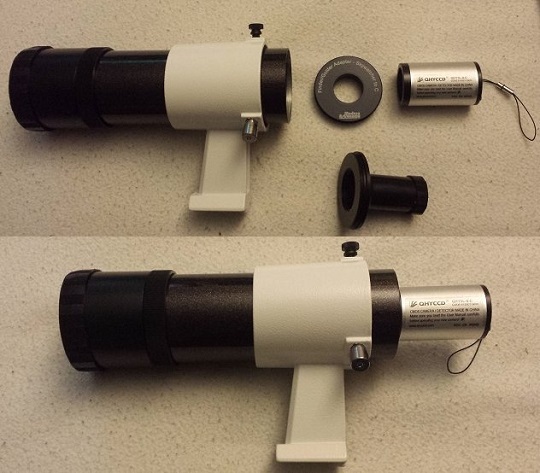 Sadly that's it for this month as we were going away for a couple of weekends, I really need to get a startravel 80 or some good binoculars for when we're away but as I'm finding out with our weather even if I have the equipment I still may not get to use it!